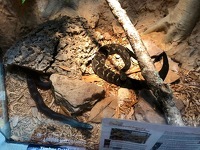 Shaver's Creek Environmental Center closed to the public in the fall of 2016 to begin the first major expansion and renovation since its founding in 1976. 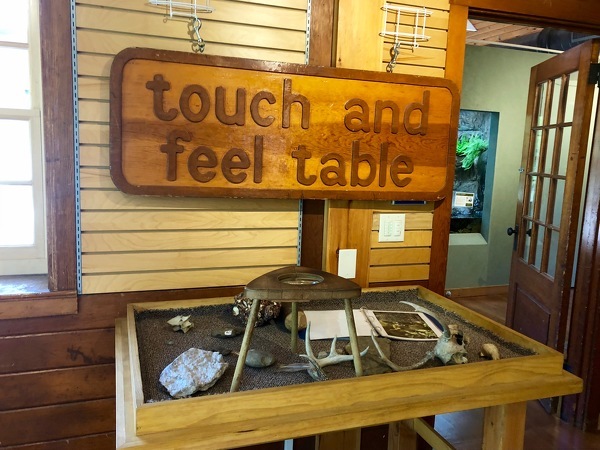 On Saturday, Penn State's nature center in Petersburg will once again open its doors, giving the general public a chance to return for the first time in two years and check out the new look and features. A reopening celebration will be held from 4 to 10 p.m., with tours, local food trucks and live music. Justin Raymond, Shaver's Creek marketing director, said 700 people already are expected to attend. But if you don't want to battle the crowd, the center will be open 10 a.m. to 5 p.m., seven days a week until December before opening again in February. After going on hiatus the past two years, the popular Halloween Trail will be back in October and the Maple Harvest Festival will return in the spring. The $7.5 million project -- funded by Penn State Outreach and private philanthropy -- expands the ability to offer programs and experiences for the approximately 60,000 community members and students served by Shaver's Creek each year. 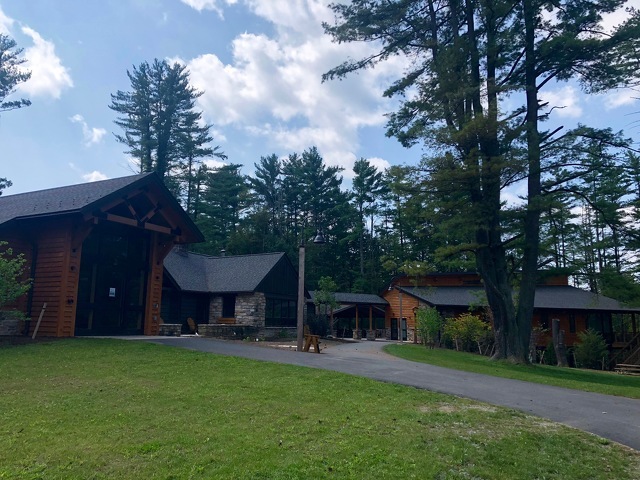 At the heart of Shaver's Creek, the original forestry lodge -- built in 1938 and used by Penn State's forestry school until the environmental center opened in 1976 -- remains in tact as a central visitor's center, but has undergone renovations. 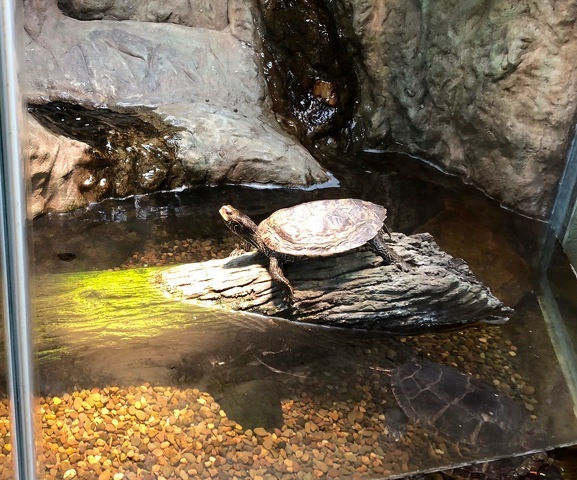 It includes the updated Litzinger Herpetology Center, with displays of turtles and snakes, Discovery Room and new book store. The Litzinger Herpetology Center includes tanks for turtles and snakes. 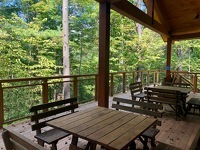 The lodge also has a new landscaped terrace and outdoor teaching space. 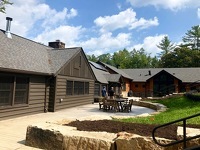 Renovations to the lodge were part of phase one of the project, which also included the addition of a new maintenance garage and a much-needed new administrative building, which connects to the lodge. "It’s exciting in the sense that we’re no longer kind of stuffed in a little 1930s forestry lodge," Raymond said. "We’re able to offer more accommodating experiences for young professionals like our interns and Penn State students and volunteers." Thousands of Penn State students, non-credit program attendees and schoolchildren take part in a variety of educational and experiential programs throughout the year at Shaver's Creek, and another major phase one addition will better accommodate them. 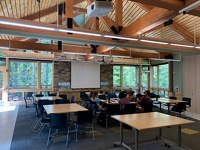 The renovated lodge leads out to the existing outdoor pavilion that connects to the new Hamer Classroom Building, which has a moveable wall to create one large space or two smaller spaces. 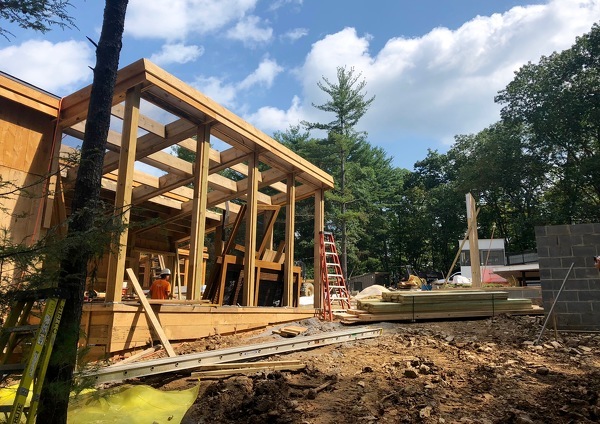 The new building, which has a shaded outdoor patio looking out over the forest, will help create more capacity when students are taking credit classes, school groups are visiting and team-building exercises are going on. 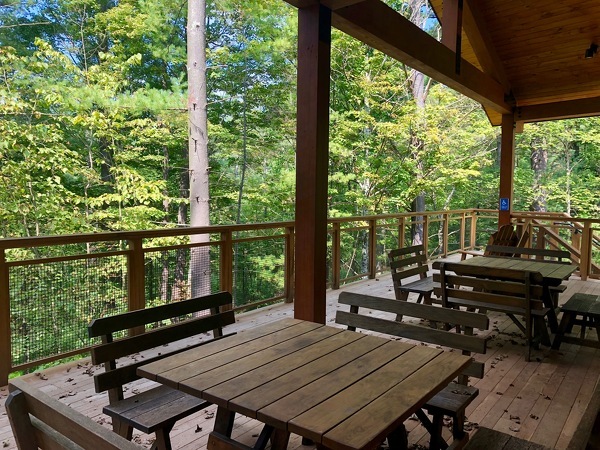 It also includes kitchen facilities and public restrooms, which will help with events like the annual Maple Harvest Festival, where 12,000 pancakes are served over a weekend at the outdoor pavilion. Environmental sustainability has been a key part of the upgrades. The project added a new energy-efficient HVAC system and wall panels for the expansions were designed for high efficiency. Throughout the renovations and construction, most of the wood has been locally sourced, with much coming from trees in Stone Valley that were being removed to improve the woodcock habitat. Most of the wood also was milled on site and some of the interior features, like a new welcome desk, were crafted by a local artisan. The second phase of renovations features the construction of new enclosures for the center's 18 raptors -- which include owls, falcons, eagles, soaring hawks, buzzards and vultures -- as well as a new, 800-square-foot upper classroom. Raptors have had a home at Shaver's Creek since 1981 and today the birds housed there are not injured, but have a disability that prevents them from living on their own in the wild. The new enclosures are more closely grouped together and are configured to capture sun throughout the day with better visibility, while concrete walls protect the birds from cold north winds. In addition to the benefits for the raptors, the new enclosures also allow visitors to more easily move from one to the next and help staff by having a centralized location with ready access to resources like electricity and water. The enclosures and classroom are not expected to be completed until October, but when finished will enhance Shaver's Creek's educational mission. Work on new raptor enclosures and an upper classroom are expected to be completed in October. Raymond, meanwhile, said he and the rest of the staff are looking forward to having the public back at the center, and he was reminded of that when summer camps returned this summer with about 80 kids on site. "We’re really excited. It’s been quiet the last couple years since we closed and when we had summer camps back this year it was really great to hear children laughing and playing outside," he said. "It’s really nice to get back to people being out here." Penn State fans can expect to see at least seven freshmen taking meaningful snaps this season according to James Franklin. 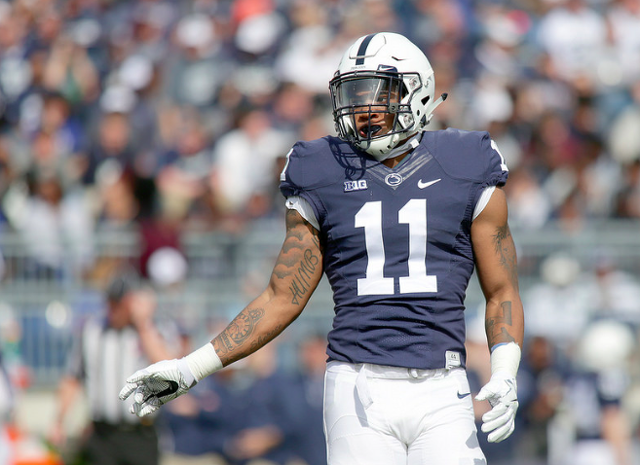 Headlined by linebacker Micah Parsons, Franklin and his staff are preparing for two offensive players, three defensive players and two kickers to contribute in key roles this year straight out of high school.